According to state owned oil firm, Ghana National Petroleum Corporation (GNPC,) ExxonMobil has signed a Memorandum of Understanding (MOU) with it to purchase an oil block close to the Hess and Jubilee fields.GNPC’s CEO Alex Mould told Citi Business News ‘we are attracting the right partners, ExxonMobil has signed an MOU with us to look at a block and the minister is going to take it to cabinet and parliament for approval’. This is not the oil giant’s first major stint with Ghana. In 2010 ExxonMobil was reported to have bought Kosmos Energy’s stake in the jubilee field but pulled out of the deal. The pull out according to persons familiar with the matter was due to a firm resistance from government. ‘ExxonMobil is looking at a block which was relinquished and is vacant, their interest is to develop it and stay in Ghana. 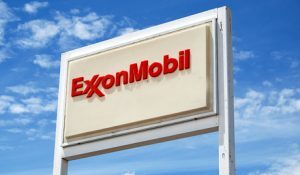 Exxon Mobil produces 12 percent of all their oil from Africa and as you know Africa is one of their four major businesses and we are very happy to have attracted ExxonMobil to Ghana.’ He said.